The popularity of cinema-going in the early 1900s led to picture theatres being built in suburban areas so people did not have to travel into town to see films. Suburban cinemas tended to be smaller and less fanciful than their inner-city counterparts, but their more convenient locations pulled in the crowds. 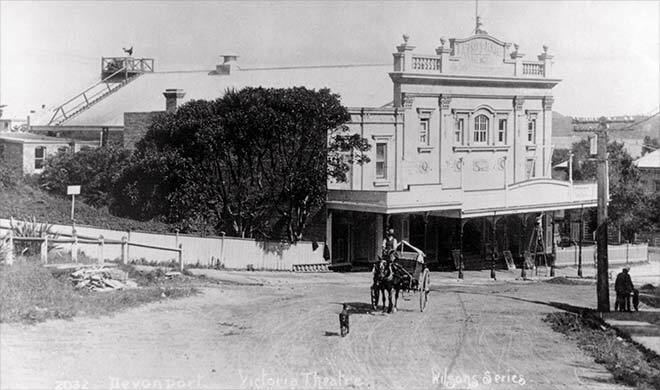 Among the first of these was Devonport's Victoria Theatre, in Auckland. It opened in 1912 and is shown here with its original free classical style facade.